Start your first day in Huntsville off with breakfast at Blue Plate Café, where you can treat yourself to a classic Southern breakfast of biscuits and gravy, country fried steak, or country ham. Now it’s time to head to Huntsville’s main attraction: the U.S. Space and Rocket Center. Here you’ll explore the history of the U.S. space program and Huntsville’s role in the Space Race. 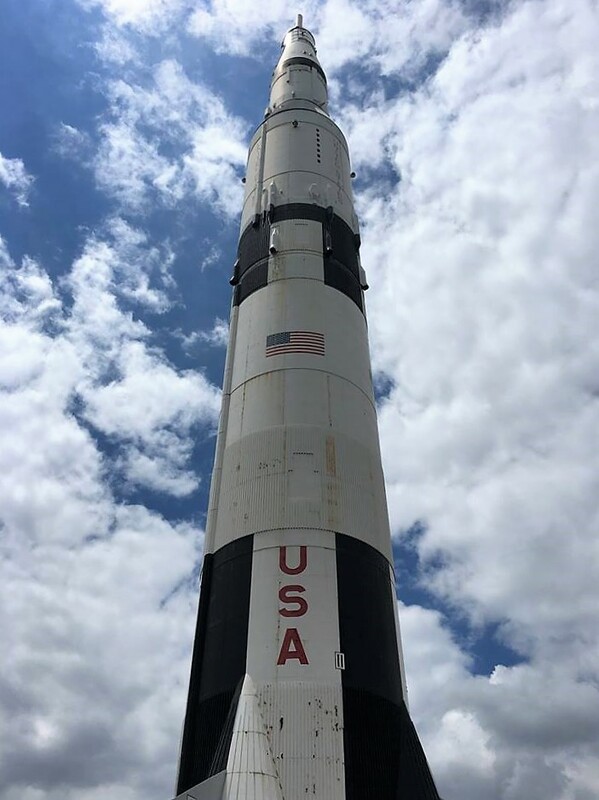 On display are two Saturn V rockets, the rockets that took us to the moon; one stands tall over the museum, giving Huntsville its distinct “spaceline” rather than a skyline, while the other one hangs segmented in an indoor exhibit. 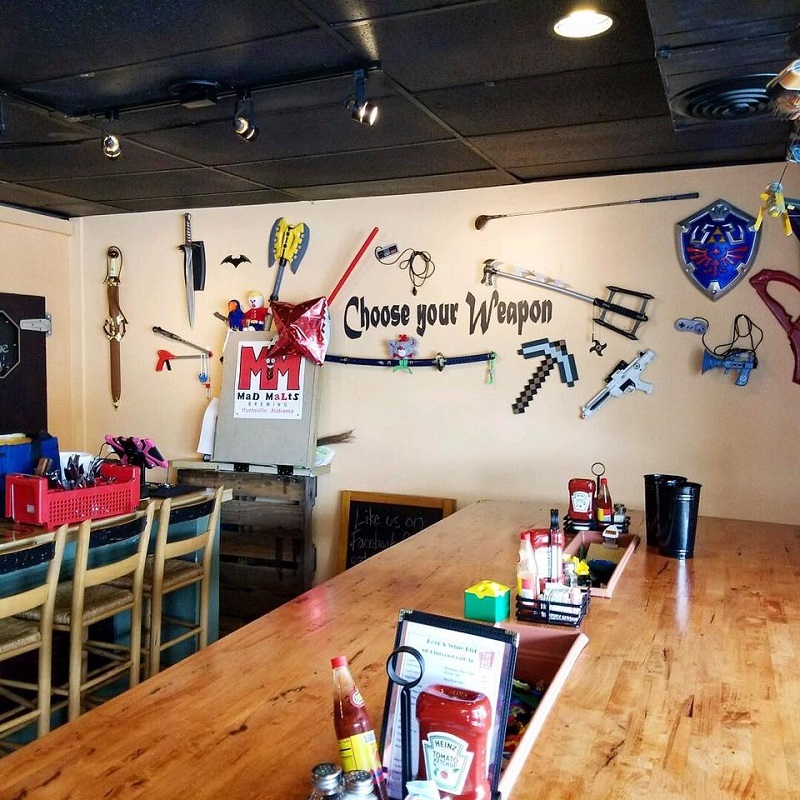 You can expect to spend around 3 hours exploring the museum, riding on the infamous Space Shot and G-Force rides, climbing the rock wall, seeing an IMAX showing, and staring in awe at the Saturn V.
For lunch, head to the Toybox Bistro, a nerdy little spot that celebrates all things geek. Their menu has burgers, sandwiches, and Waffled Mac & Cheese, which, as their menu puts it, is “mac and cheese that is magically waffled, somehow”. Their décor is a collection of one man’s nerd memorabilia, lovingly gathered over decades. Walk off your meal at the Huntsville Botanical Garden, 112 acres of beautifully landscaped gardens and trails. The Huntsville Botanical Gardens even has the nation’s largest open-air butterfly house. In the winter, the Garden is known for its Galaxy of Lights display, featuring hundreds of Christmas lights and decorations. Next up is exploring Lowe Mill ARTS & Entertainment. This former textile mill has been transformed into a cultural center for local artists to work, sell, and display their art. It is the largest privately owned arts facility in the U.S. You never know, you just might find your new favorite artist here! Go for dinner at Earth and Stone Wood Fire Pizza located at the middle-school-turned-entertainment-district Campus No. 805. If you’re a night owl, stay for some after-dinner drinks at either Yellowhammer Brewing or Straight to Ale before turning in. For your second day in Huntsville, you don’t even need a car because you’re going to explore downtown, where everything is within walking distance. Start off the day with breakfast at the Cozy Cow, where you can choose from breakfast sandwiches, coffee, and smoothies. After breakfast, take a walk through Big Spring International Park. The “Big Spring” is what brought the founders of Huntsville to this area over 200 years ago. 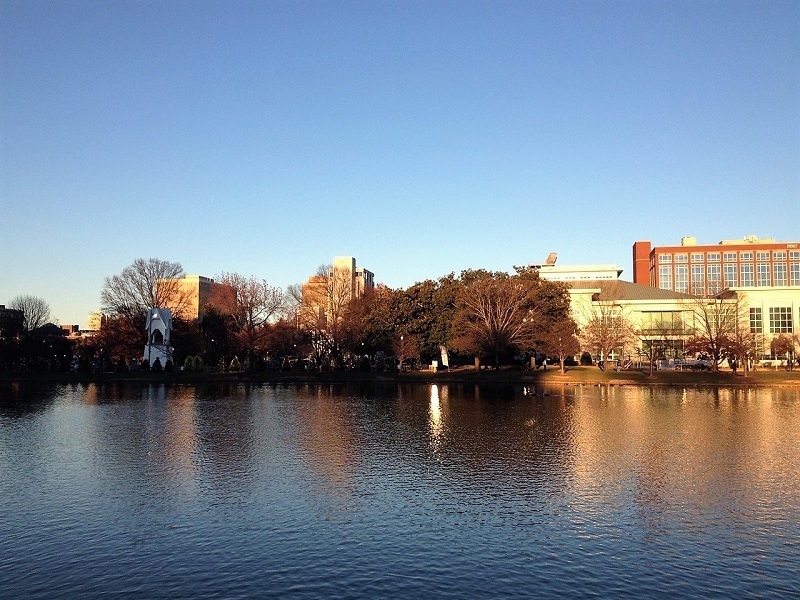 You can follow the spring, making friends with the park ducks along the way, to the red bridge and cherry trees gifted to the city by Japan and the lighthouse gifted to the city by Norway. Located on the outskirts of Big Spring Park is the Huntsville Museum of Art. 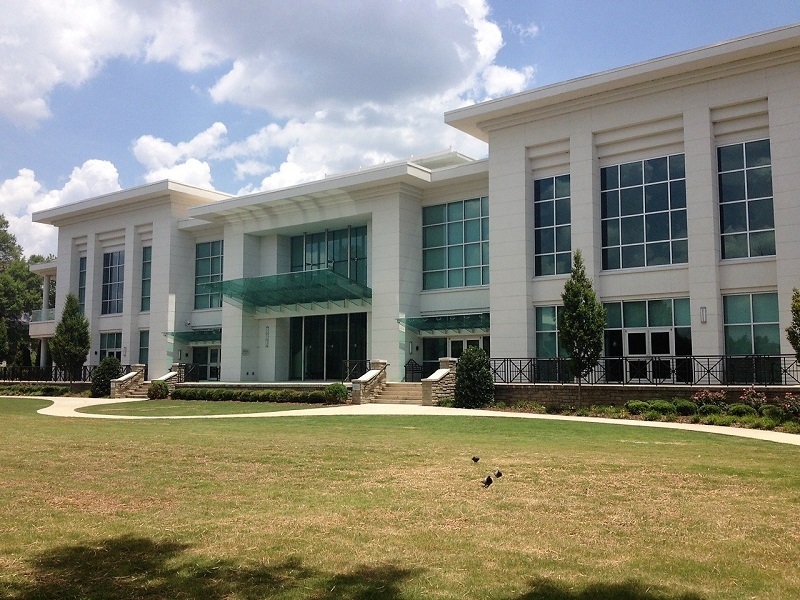 The Huntsville Museum of Art has seven galleries of traveling exhibitions and regional art, as well as the world’s largest collection of Buccellati silver animals. When you’ve gotten your fill of art, head to Alabama Constitution Village. Once you step beyond the picket fence, you’ll be transported to the year 1819 when Alabama became the 22nd state. The experience is an educational journey back in time. Back to present day Huntsville, it’s time for lunch. Make your way to the Square and dine at Sam & Greg’s, a local pizzeria with al fresco dining, local art, and live music. If the weather is nice, you should definitely eat outside and people-watch on the Square. 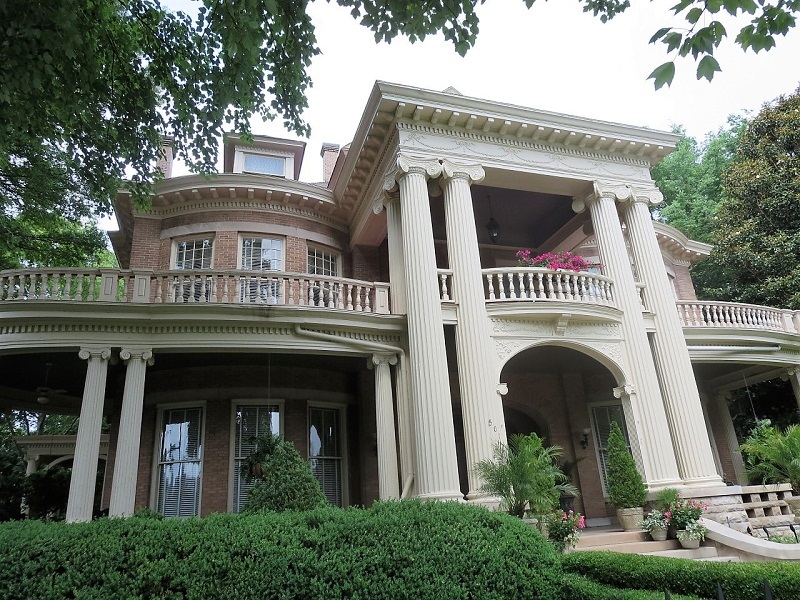 You can explore more of Downtown Huntsville, Alabama by walking around the Twickenham Historic District. This is Alabama’s largest antebellum district, and walking the streets you can admire the federal, Italianate, and classical architecture of the homes. There’s even more shopping to be had downtown. Located on the Square, Harrison Brothers Hardware has been in business since 1894, so in addition to the many gifts, art, books, and toys you’ll find here, you’ll also get plenty of history. A few streets over is The Garage at Clinton Row, a unique retail development where retailers set up shop in storage unit spaces. When you’ve shopped ‘til you dropped, eat dinner at Keegan’s Public House, an Irish pub overlooking Big Spring Park. You can end the night with one of their delicious martinis or a traditional pint and look back fondly on your weekend in Huntsville.